While looking for opportunities to escape from the heat and the hustle bustle of Delhi, I landed upon Mukteshwar as the perfect place for a short weekend getaway, and the people at Club Ten Pine Lodge were kind enough to organize an epic road trip for me, and 9 other bloggers. Packed in two SUVs, we hit it off from Delhi for some memories of a lifetime! 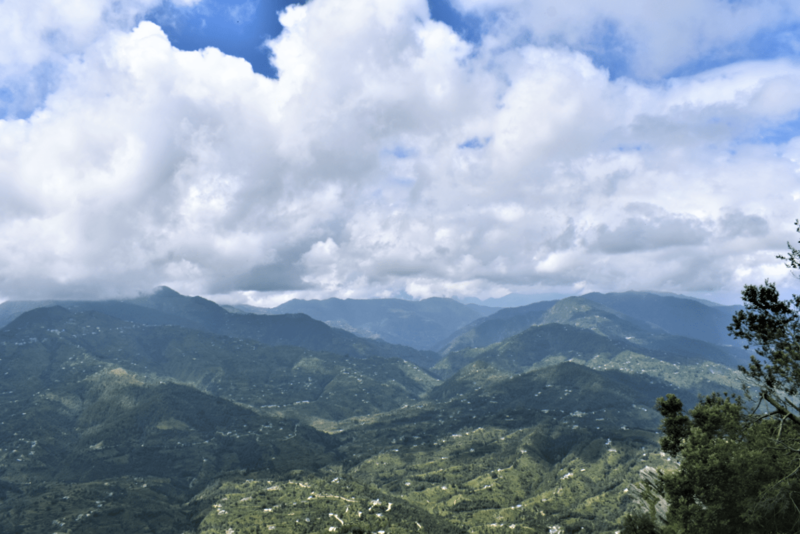 Located only about 340 kilometers from Delhi, Mukteshwar is a small town in the Kumaon Hills of Uttarakhand. Located in the Nainital district, it has an elevation of 2286 meters above sea level. While there are plenty hotels and resorts propped up in Mukteshwar, I decided to stay in Club Ten Pine Lodge, and thank god I did! 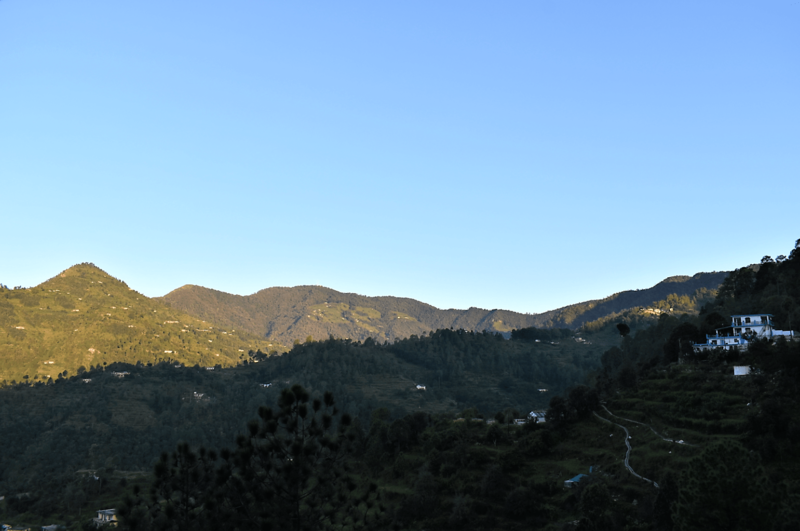 There are plenty reasons to love this beautiful place, but my top reason was that it is situated in a peaceful area away from main Mukteshwar, hardly a 15 minutes’ drive from the market. The lodge is surrounded by pine trees all around, with dried pine cones lining the road. Wherever you look, there are farms of walnut, corn, apples, apricots and sunflowers to name a few. The sun rises gloriously from behind the hill right in front of the lodge, and that was more than enough reason for me to quickly grab an east facing room with an attached balcony, and set my alarm to 6 am! The rooms are spacious and beautiful, with a different decor and colour palette in each room. The smaller rooms come with two couches near the balcony to sit on and enjoy the play of the sun with the clouds, and the bigger rooms have a separate sitting area altogether! Made up almost entirely of cobblestone, the building has a warm rustic feel to it. The common garden area with sunflowers growing almost everywhere was perhaps one of my favourite parts of the lodge. Our hosts were kind enough to set up a table and chairs and we spent the entire night sipping on chai and trying to find stars from behind the cloudy sky! The food scene at the lodge is a different game altogether. The dining hall serves delicious meals three times a day, and for the in between snacks, they have the beautiful bar complete with a wide range of liquor, traditional hookah, and a ping pong table for some fun! And after you are done stuffing your face with the food and liquor, you can go sweat it off in the room below dedicated especially for music and dance lovers! 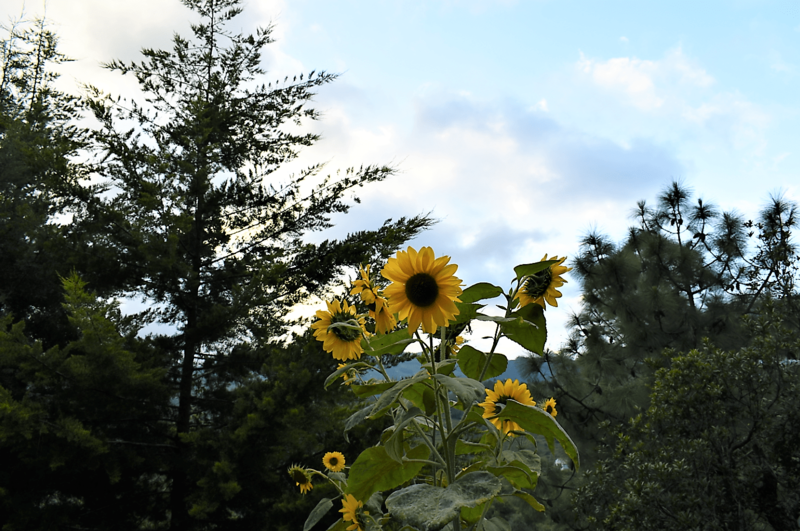 Not only did our hosts at The Club Pine Lodge made sure we have a great comfortable place to stay in, they also took us around Mukteshwar to help us be closer to nature. With a height of 50 ft, and a depth of 40 ft, this is one place that you must visit if you’re ever in Mukteshwar. It is a 1.3 kilometers hike to reach the waterfall, and the best time to visit is post monsoon to see it in all its glory. From climbing rocks on all four, to hopping on stones to cross multiple streams, this is a hike packed with adventure. Most of the hike is a piece of cake but the real deal begins during the last bit of it, just before the waterfall. Whatever little trail helps you reach that far slowly disappears and you’re left with steep slippery rocks that you need to climb up and down to reach the waterfall pool. But it is all worth the effort! The trail gets slushy so make sure you wear proper shoes. The rocks that you’ll be climbing get slippery due to water and algae, so it’s important to go slow and wear hiking shoes for proper grip. The flow of the waterfall is very heavy and the pool is very deep. Don’t venture into the deep part. Remember, it’s all fun and games until someone gets hurt. Recently, two people drowned in the waterfall. So if you want to enjoy a dip in the pool, a life jacket is compulsory, You can rent one there on the spot itself and it’ll cost you 200 rupees for 3 jackets. The trail to the waterfall is lined with nettle leaves which are venomous and can cause itching and burning if stung. So make sure you wear something that covers your legs and arms completely while hiking to the waterfall. Mukteshwar is really a heavenly place, its beauty added with great Himalayas, waterfall, fruit orchids, Lord SHIVA and pure nature. Your journey becomes more delighted if you find such beautiful property near Nainital. Beautiful photographs with detailed information about Mukteshwar. Perfect description and loved the fornat, how you arranged eveything. Keep going! So beautifully written. Really well described and informative.